Citra | Zonyxa. Unique and contemporary jewellery for Work. Love. Play. 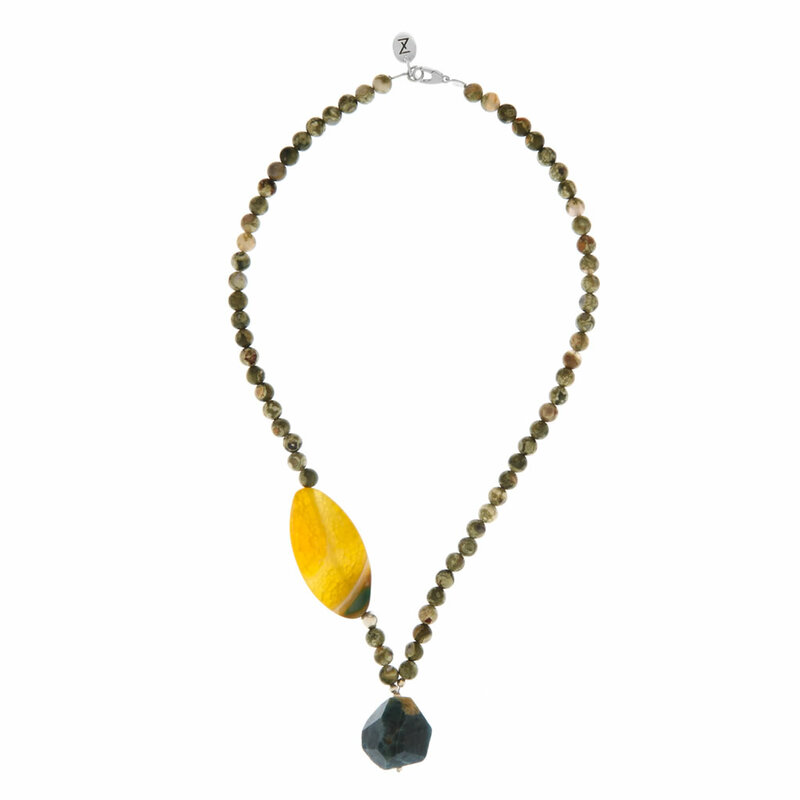 This simple yet elegant asymetrical piece features beadwork of warm and earthy agate, showcasing a glorious golden oval of citrine on one side. The finishing touch is an irregularly shaped and grey-blue toned apatite pendant. Wear with a plain, bright casual daytime outfit, or as the finishing touch to a more sober ensemble. Materials: Apatite, citrine, agate, sterling silver “disco balls” necklace.